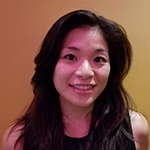 Yuen Kwan Chan has been a Certified Nurse Midwife and Ob/Gyn Nurse Practitioner since 2009. Her started her career as an RN at North Shore University in the Level 3 NICU in 2007. She received her BSN and MSN degrees from Stony Brook University in 2009 while she was working as a nurse in the NICU . During her time at North Shore LIJ, she discovered her true passion for women health and babies. Her fluency in Cantonese and Mandarin dialects, she has devoted most of her midwifery career to empowering women through education about natural birth and providing individualized care for women in the Asian community. Since then, she has had over a few thousand successful deliveries during her career. She furthered her education to better serve the community by getting her Doctorate in Midwifery and women’s health in 2014. She has experience in diverse birth settings ranging from hospital, birthing center and home birth. Yuen Kwan is confident and experienced in providing each woman the birth of their dream. She believes that every woman deserves the best and most individualized care and to remember this precious moment of their life. She has affiliations and delivery privileges with NYU Langone – Brooklyn hospital, Maimonides Medical Center and Brooklyn Birthing Center. She is also an adjunct faculty member at Adelphi University’s College of Nursing where she enjoys sharing her passion for education.